A team of local children are set to represent Canada on the international stage using colourful interlocking plastic bricks and an accompanying array of gears, minifigures and various other parts. 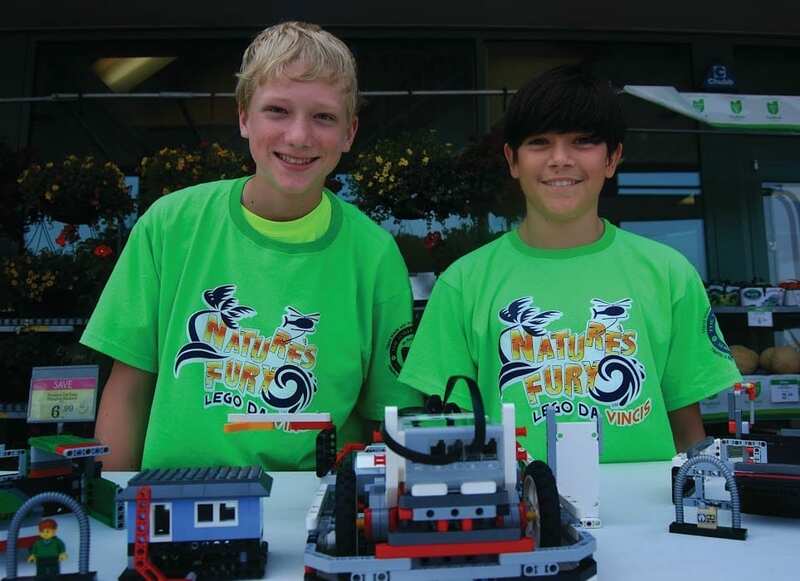 The group, called Lego Da Vinci robotics team, uses Lego pieces to create a robotic device to complete various tasks. It all began when Zachary Cheung took a trip and witnessed first-hand the popular competition in action. This year, the team repeated at the Regional competition and finished fifth at provincials, qualifying them for the FIRST LEGO League (FLL) International Festival held in Brazil. The robotics program for 9 to 14 year olds, looks to get children excited about science and technology, while teaching them valuable employment and life skills. Teams, composed of up to ten children with at least one adult coach, can also be associated with a pre-existing club or organization, homeschooled, or just be a group of friends who wish to do something awesome. Teams in competition gather together to compete in 32 different missions. The robot, which has five different attachments, earn points for completion in each category. Each member of the team plays a vital role in creating a winning product. The team – Scott Hooper, Natasha Wells, Kristen Wells, Jacob Cheung, Connor Jackson and Jeb Dayaram – bring a personalized approach to creating a single robot to compete with. The Lego Da Vinci’s robotic team are the only representatives from Canada attending the tournament in September. Despite the potential challengers from across the globe, the biggest battle has been fundraising. Flying to Brazil isn’t cheap. With hotel expenses among a variety of other costs, they are relying on community support to make their dreams come true.